Home » Join Musical U » Musicality Podcast: Special Offer! Thanks for being a listener of the Musicality Podcast! We’ve prepared a special offer for you to try Musical U FREE for 7 days – and then enjoy discount membership after that! This offer ends midnight US Central Time on Sunday 1st October. Choose Regular or Instrument Pack membership, and whether you’d like to pay monthly or save with an annual plan. No payment will be taken until the end of your 7 day free trial. You can check out securely with a debit or credit card, or check out using PayPal which supports cards, direct debit, bank transfer and further options. 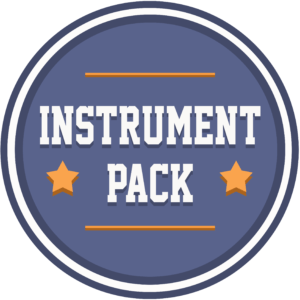 Instrument Pack Memberships are available for: Guitar, Bass, Piano/Keyboard and Singing. As well as all the features of Regular Membership you get access to exclusive instrument-specific tutorials each month, dedicated discussion boards for your instrument, and access to our Resident Pro for that instrument who can help with any questions you have about learning your instrument and applying all the skills you’re learning in Musical U’s training modules. Note: You choose the instrument for your Instrument Pack after checkout.